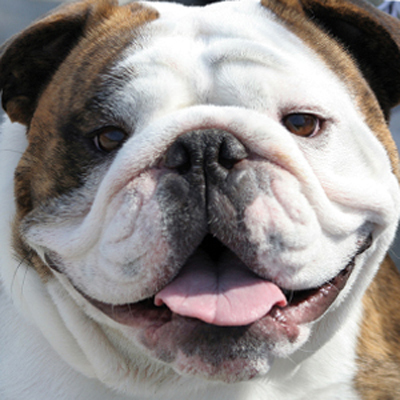 After eating a toy car, Beau needed immediate surgery. The vet removed 42 metal toy car pieces, plus a dish towel no one had missed. 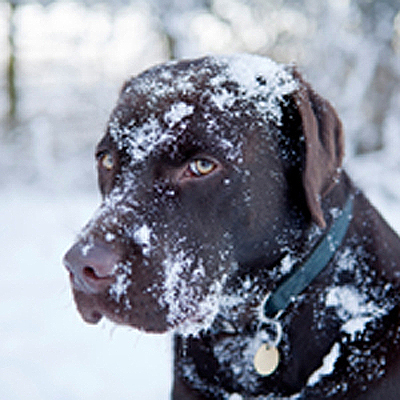 An afternoon of fun in the snow ended with a spiral fracture for Toby, who needed a surgical pin to mend his leg. 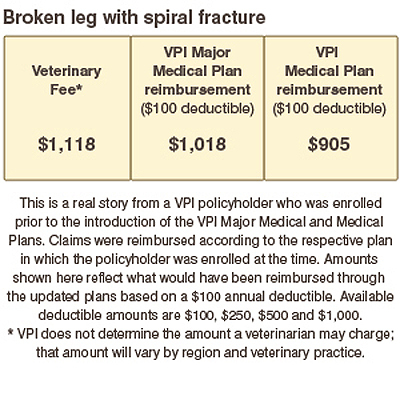 Accidents and illnesses will happen to your pet over his or her lifetime. 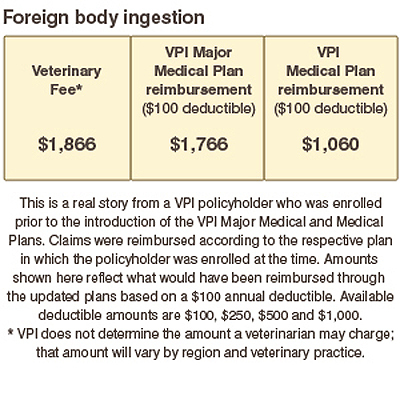 VPI Pet Insurance is the smart way to manage veterinary costs.